The following two products are zipped together as one .zip file to make up this bundle. Click on the links above to read the full product description and to view the product previews and positive feedback. Note, "writing about reading" is a huge part of the Common Core standards. 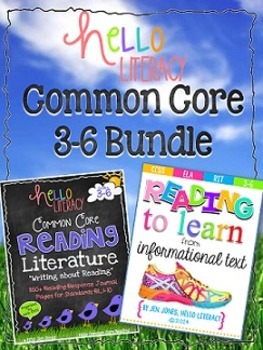 This product is ideal for writing about reading, both literature and informational reading, and will supplement and reading program or "un-program"...and will last all year.